Photo(s) by Little Traverse ConservancyLittle Traverse Conservancy's Rogers Family Homestead along the Jordan River in Charlevoix County. Fall is camo season. But for those who aren’t hunters, where is it safe to stroll? These natural areas throughout Leelanau, Emmet, Charlevoix, Benzie, Manistee and Grand Traverse Counties are protected by local conservancies and are not open to hunting. Short trail loops with sights of forests, wetlands and Mitchell Creek make the Reffitt Preserve a great spot for hikers during hunting season. With its location—situated between Three and Four Mile roads near the Traverse City State Park and TART Trail—it’s a surprisingly quiet and secluded Traverse City destination. 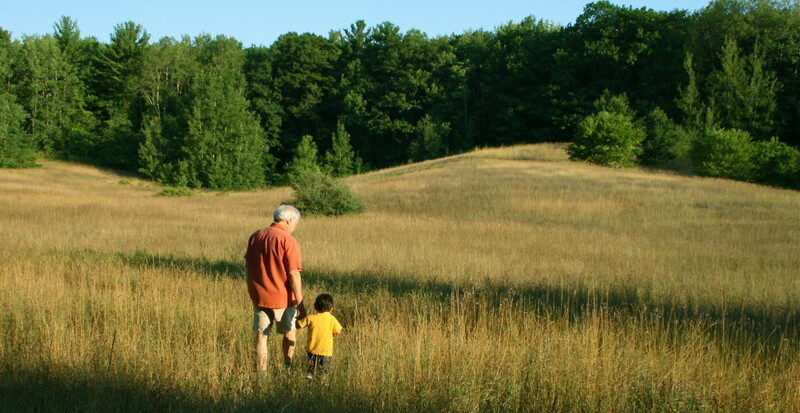 The Reffitt Preserve is owned and managed by the Grand Traverse Regional Land Conservancy. North of the Rogers Family Homestead lies a canoe launch for those eager to get in their last paddle of the season on the Jordan River. A parking area and 1.5-mile trail are available for land seekers. Get there by heading south on M32 from East Jordan to Rogers Road. Turn right, and the preserve is a half-mile down on the right. 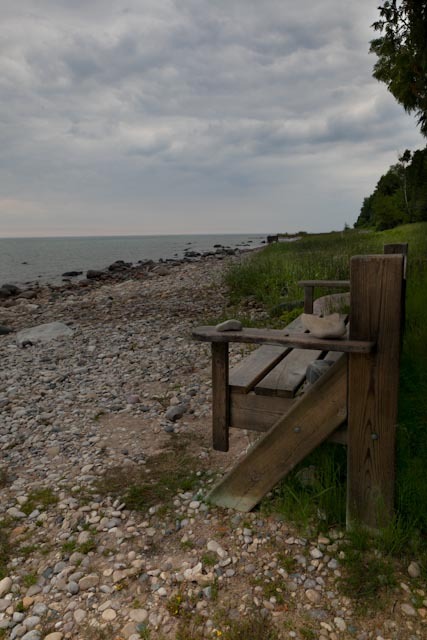 The 201-acre Rogers Family Homestead Preserve is protected by the Little Traverse Conservancy. If you’re in search of a hike with Lake Michigan overlooks and a gradual ascent through hardwoods, this is the location for you. Walk along the bluffs in Leland and see the remaining fall colors while planning your next winter visit by snowshoe. This site is so pretty it’s known to bring people back for more. The 40 acres of Whaleback were preserved in 1996 by the Leelanau Conservancy. Only a few miles from downtown Petoskey, a parking area and short trail leads to the Bubbling Springs Preserve, a natural oasis for exploration. From the intersection of US31 and US131 in Petoskey, travel south to Intertown Road. Travel 1.1 miles after turning west on Intertown and the preserve is on the left side of the road. The Little Traverse Conservancy protects the Bubbling Springs Preserve. The Borwell Preserve straddles the Benzie-Manistee County line and includes The Misty Acres Trail. The trail loop offers views of the Bestie River and the John J. Helstrom Quiet Area. Don’t miss this hike next time you’re near Crystal Mountain. Misty Acres is owned and managed by the Grand Traverse Regional Land Conservancy. A dune observation platform is just one highlight you’ll find along the 1.5 miles of trails at Thorne Swift. Upland dunes, lowland cedar swamps, and Great Lakes views are accessible to hikers. Adjacent to the Elizabeth Kennedy Nature Center is a large parking lot to start your journey. The Little Traverse Conservancy leases this property to West Traverse Township as a nature park. Deer and turkey lurk in the apple orchard at the “Gateway to Empire,” where hunting isn’t allowed. Turtles, brook trout and diverse bird species are abundant here, too. The Chippewa Run Natural Area’s trail system has a parking area less than a mile north of the M72 and M22 intersection in Empire, just south of the creek. The 110-acre property is protected by the Leelanau Conservancy. Nearly three miles of trails through fields, forests and orchards make up a great hiking spot on Old Mission Peninsula. Just north of Traverse City, the Pellizzari Natural Area lends a lot of beauty. The property is protected by Grand Traverse Regional Land Conservancy, and owned and managed by Peninsula Township.